So here’s the thing. I used to hate lemon desserts. And I used to hate shortbread. But that was when I thought all lemon desserts tasted like the filling to lemon meringue pie (still grosses me out) and all shortbread was boring and flavorless. But at some point in the last couple of years, something clicked. And while it would do my body good to become more picky about what range of desserts I will eat, my palate started to appreciate those two categories of sweets. Some things can have a lovely lemon flavor but they don’t have to be sickeningly sweet. Shortbread can be chewy and buttery and wonderful. Who knew? So when I had a minor baking mishap in the kitchen a few weeks ago and ended up half-way to shortbread dough, it occurred to me that I didn’t need to throw away the pound of butter that I’d already creamed. Instead, I should make lemons out of lemonade take advantage of the ingredients I had on hand and make something else. The end result was a pleasant surprise. Chewy shortbread cookies with just the right amount of lemon- not overpowering, but refreshing. And refreshing is good when biting into a rich shortbread cookie. If you want an even stronger lemon flavor, you could probably add some lemon zest to your batter. But I’m still easing into this lemon dessert thing so I’ll stop while I’m ahead. What type of dessert did you used to hate but learn to love? I love shortbread! The addition of lemon makes these sounds magical! 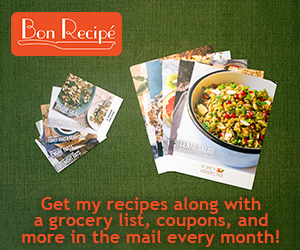 New to your site, looking forward to seeing more recipes! I forgot that you used to not like lemon desserts. So glad you’ve come around! These look great. wow – these look lovely. Unlike you I love anything lemony, so these are immediately appealing. I also love the flavour combination of lemon and rosemary, so may try and infuse the batter with rosemary as well. Thanks for sharing! Oh the rosemary addition sounds amazing! Great recipe I must try right away! Love lemon anything and these look so simple and fresh.